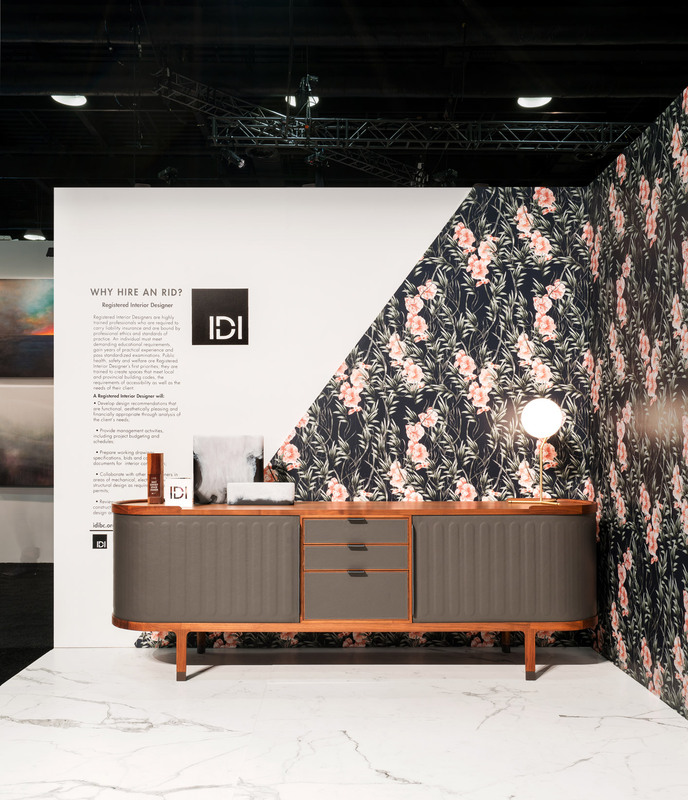 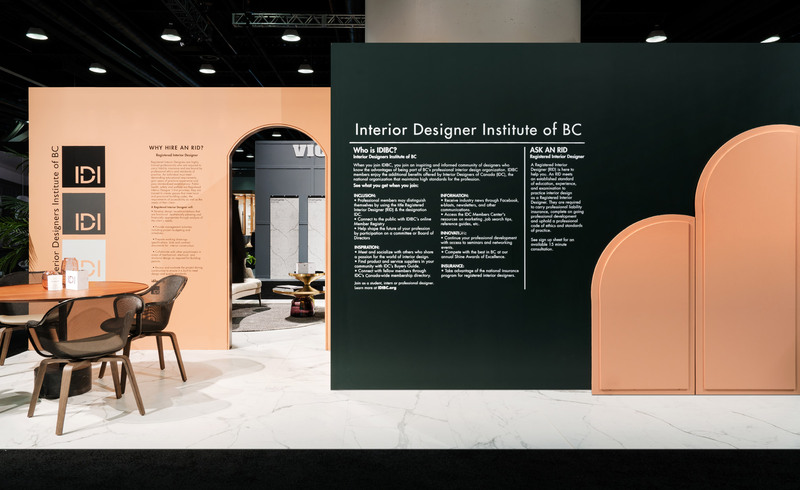 LIV was commissioned by IDIBC, BC Interior Design’s Professional Association, to create their exhibition space at IDS Vancouver 2018. 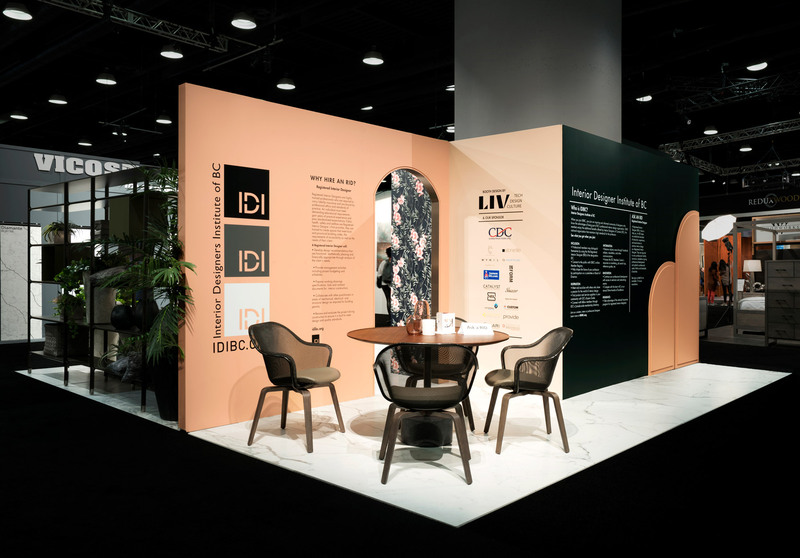 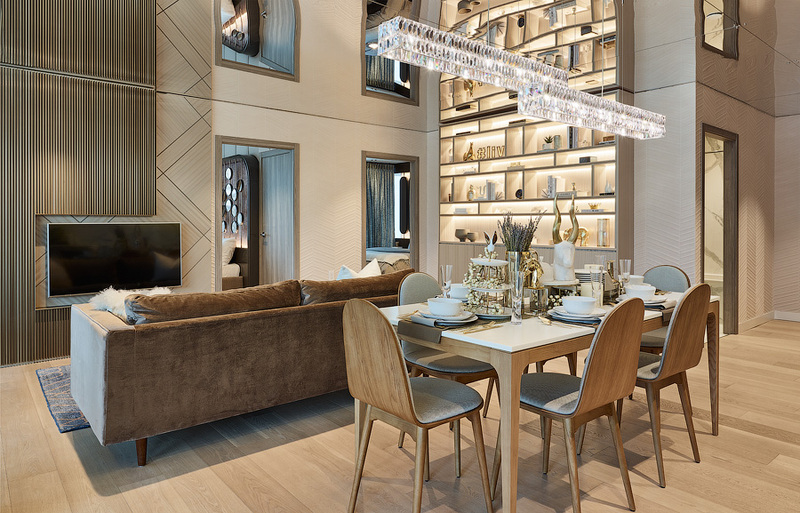 A huge honour, LIV Design wanted to ensure the space thoughtfully and beautifully educated the general public about the interior design profession, highlighted industry achievements and, finally, provided an inviting, gathering space for industry and trade show events. 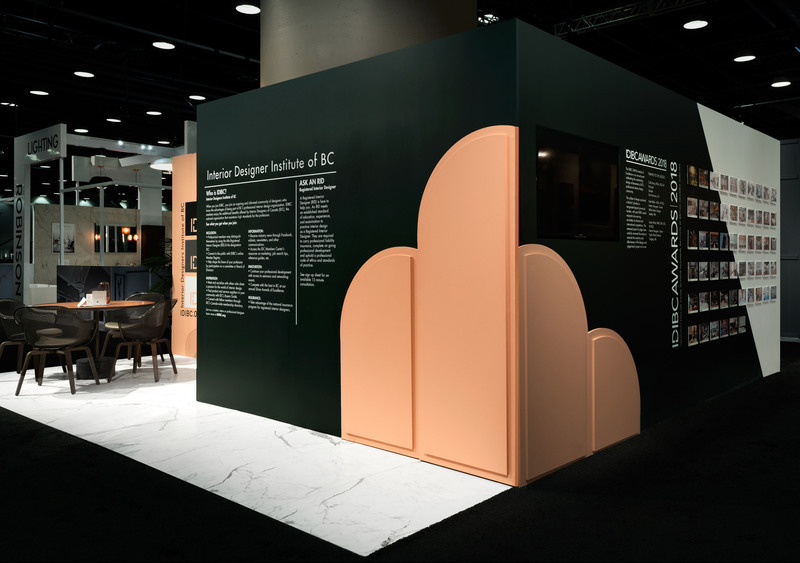 We used colour, shape and form boldly and ensured the immersive space flowed well to accommodate the hundreds of visitors. 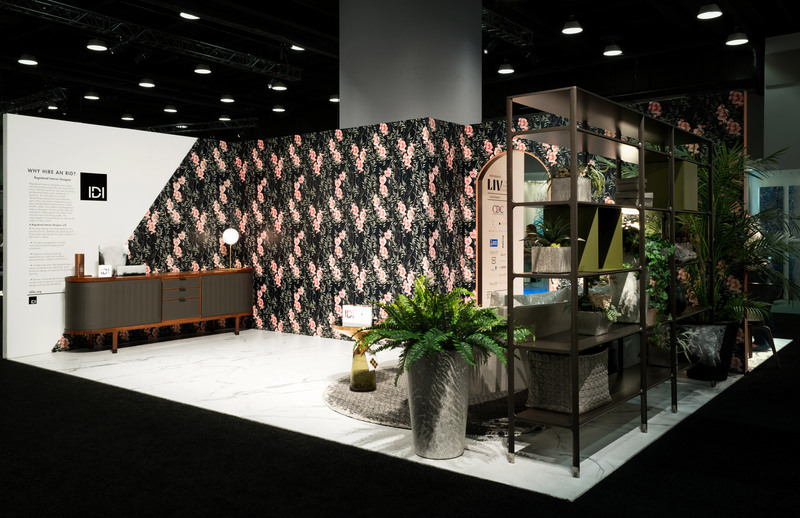 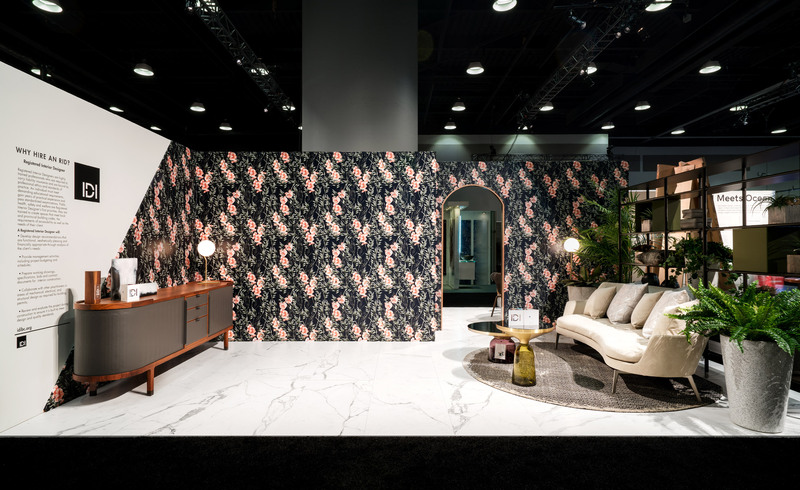 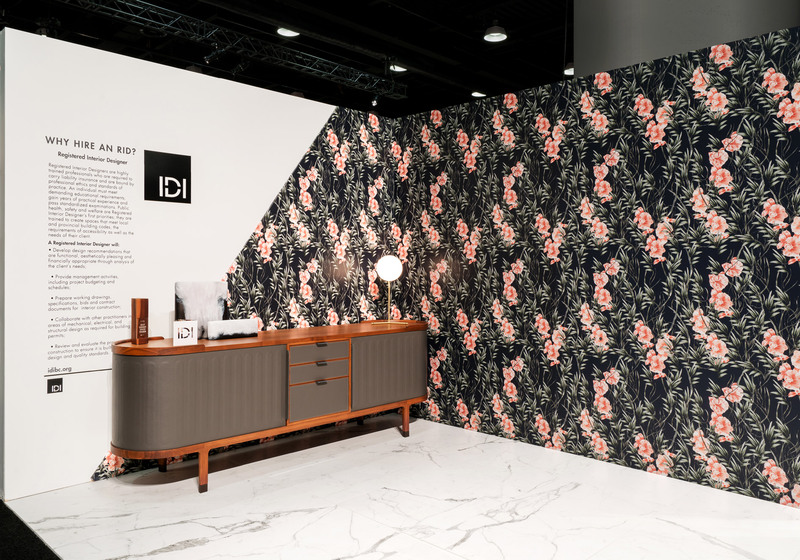 Using timeless, elegant designs in shades of terracotta, pink, and deep teal and punctuated by a daring, floral wall covering, we ensured IDIBC’s booth left a lasting impression on each and every visitor.